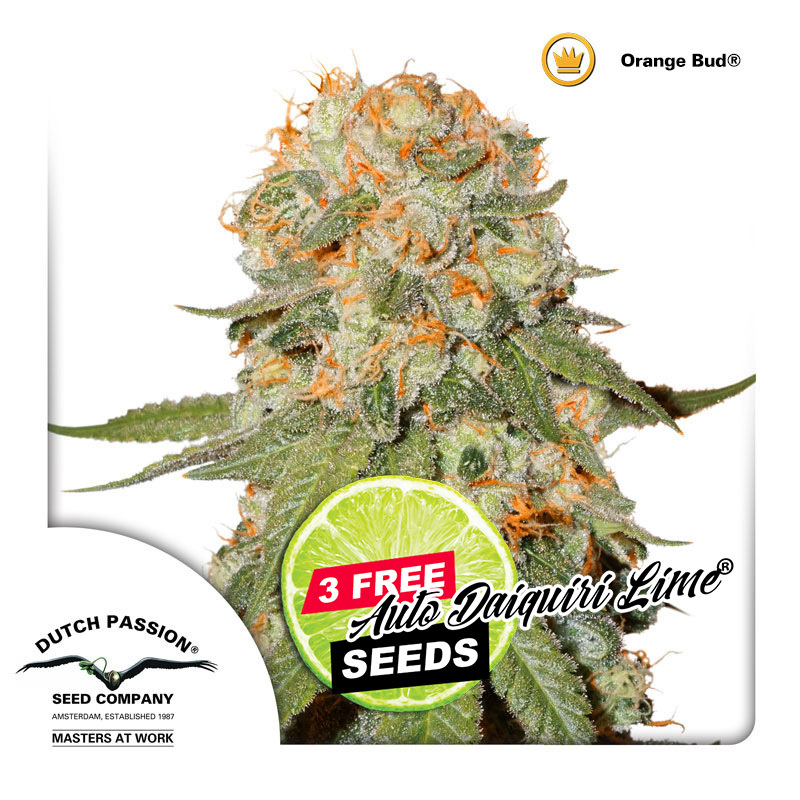 Orange Bud cannabis seeds are one of the original 100% Skunk strains and are still considered some of the best Dutch Passion have ever seen. This strain was carefully selected from outstanding Skunk genetics back in the early 80’s, she is a highly potent and very reliable strain that grows great indoors or outdoors with whichever grow mediums you wish to use. Even novice growers will find Orange Bud cannabis seeds easy and pleasurable to look after, she will reward growers with generous levels of dense compact buds covered with resinous crystals and beautiful and profound orange hairs. Orange Bud is an award-winning variety with many cups won back in the 80’s and 90’s, today Orange Bud still remains a top-class skunk strain that should be savored by any Skunk loving connoisseur. Flowering is fast as she will finish in just 7.5 weeks producing excellent yields both indoors and out. Orange Bud seeds are particularly notable for their high yields especially in “Sea of Green” grow setups. Her extremely potent smoke is uplifting and energetic, perfect for users that have active lifestyles and are always on the go. She does not disappoint on taste either with unique flavors of sweet clear citrus notes of nectarine and tropical oranges. This top-notch strain remains a top 5 best seller for all the right reasons – potent, stable, and ultimately easy to grow with high yields, Skunk connoisseurs delay no longer, buy some Orange Bud cannabis seeds here today at SeedMasters.com! White Widow is a classic, a winner of countless awards with a reputation as one of the most powerful.. Dark Delight has been a winner since she was introduced in 2012. Many regular customers have s..
Desfrán is a legendary variety in South America and a multiple prize winner of many cannabis cups. D..
AutoFrisian Dew has been upgraded and improved, it is now based on a specially selected Purple pheno..